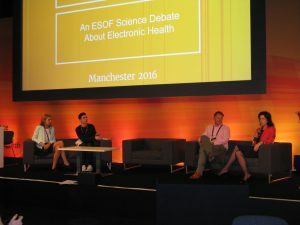 E-Medizin, eDoktor, ePatient: Die elektronische Vernetzung des Gesundheitssystems und der vermehrte Einsatz von Apps war das Thema der TELI-EUSJA Wissenschaftsdebatte bei ESOF 2016 in Manchester. Es gibt viele Fragen, weniger verlässliche Antworten. Die einen sagen, „traut euerm eigenen Körper und seinen Signalen“, er ist unsere sensibelste und natürlichste App. Besonders jüngere Menschen sind für Apps aufgeschlossen. Der fehlende Datenschutz und die Ungewissheit, was mit den persönlichen Gesundheitsdaten passiert, umtreibt allerdings Jüngere wie Ältere, Experten wie Laien. Das etwa war eines der Ergebnisse aus Tests von Apps, so wie von der Münchner und Deutschen Angstselbsthilfe MASH/DASH durchgeführt. Nerds mögen allerdings mit einer Vision liebäugeln: Im Körper alles unter Kontrolle und überwacht, wie alle Funktionen bei einem Formel 1 Rennwagen. Wir brauchen mehr Bildung und Training, bei Laien wie Experten, um mit elektronischer Gesundheit und Apps gewinnbringender umzugehen. Dann können wir die richtige Auswahl treffen unter den vielen Angeboten und das persönliche Gleichgewicht bestimmen, auf der Skala zwischen Vertrauen auf die Körpersignale und technischer Unterstützung. 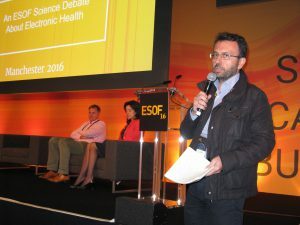 Aus den Ergebnissen der Debatte entsteht eine eHealth Deklaration. Diese wird als Empfehlung zum Umgang mit dem Thema der Europäischen Kommission zugeleitet. 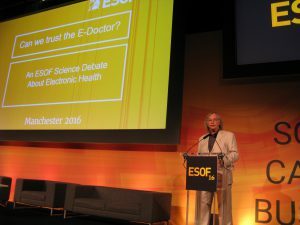 most welcome to our ESOF session „Should we trust the edoctor?“ It is organized by science journalists, the European Union of Science Journalists’ Associations EUSJA and the German Science Writers TELI. Both have a long tradition: EUSJA 45 years, TELI almost 90. We both pursue the approach of independent science journalism as a critical force to mediate between science/technology and society as a whole. I’m Wolfgang Goede, TELI board member and former EUSJA Honorary Secretary and as such co-organizer of this session. 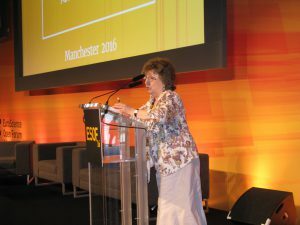 As an innovative moderating tool, we have developed and cultivated, at ESOF Turine, Dublin, Copenhagen and now Manchester the SCIENCE DEBATE. It is an open and critical dialogue and multi-logue, many to many, related to relevant and controversial topics. It is inclusive, which means it includes ALL stakeholders: not only the established knowledge and decision leaders in politics, economy, science, but also and especially the civil society, ALL interest groups and representatives of NGOs, especially also those disempowered who haven’t had a voice yet. 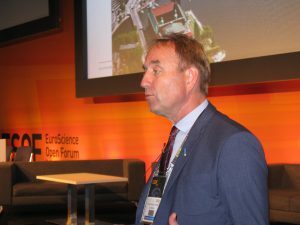 This format does emphasize the ethical values grown in Europe over the past two and a half centuries: That not one leader, but we all, you and me, are constructors of reality, science and society, its accomplishments – and failures, in a democratic exchange and competition of the best possible arguments. To underline this, let me quote the late Paul Feyerabend, philosopher of science, born in Austria and long-time professor at the University of California, Berkeley. 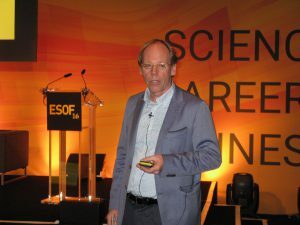 He was a dedicated advocate to „Science in a free society“, as the title of his major publication goes, in which he argues that all citizens have „equal access to the centres of power“, including science and technology. Science, he says shall be subjected to democratic control. Scientific assumptions and conclusions should also be supervised by committees of lay people. This morning, as part of the largest European Science Conference, we’ll try this out. Our topic is the increasing digitilization, not only industry 4.0, but also health, let’s put it at 3.0. 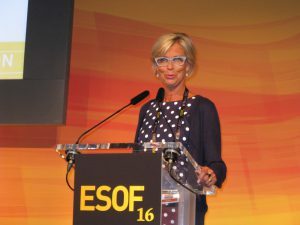 National health systems in Europe increasingly digitilize services and treatments. The question is whether this will decrease soaring costs and fulfill mankind’s dream of longevity, each of us 100 years old in good health? 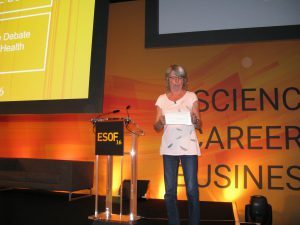 – or: data espionage on our health track records, the totally glassy patient, loss of insurance coverage in high-risk cases, with life expectancies eventually dropping to only 50 years? 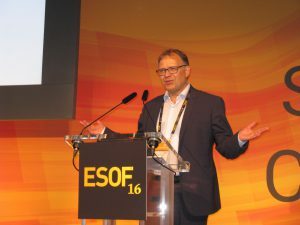 — and as in our recent radio ehealth debate in Munich aired: „Doctors — a phase-out model“? 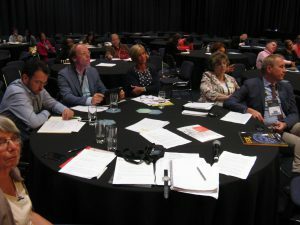 As to the procedure, we open up with statements and presentations of different stakeholders and people engaged with health-apps, practical, societal and philosophic insights to the issue. 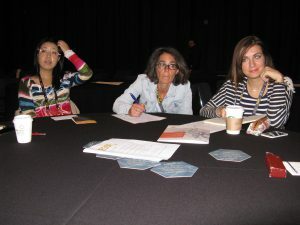 Then we break up into roundtable debates. You with the aid of our experts kindly debate the topic and then present the outcome. This we will condense to an outcome and resolution of this topic. The paper will be forwarded to the European Commission as a recommendation how to deal with the subject. THANK YOU! Es gibt mehr als 100 000 Gesundheits-Apps, aber hilfreiche Programme für Smartphones sind die Ausnahme. Die Apps können Benutzer „verwirren, fehlinformieren, in falscher Sicherheit wiegen“. Das Gesundheitsministerium fordert klare Standards. ← Kapern IT-Konzerne unsere Gesundheit?